August 7, 2018 - Representatives of Australian-based Paringa Resources recently presented updates on the progress of and expected economic boost from two Kentucky coal mining projects to McLean Chamber of Commerce members. Chief Operating Officer Rick Kim told the group about the Poplar Grove and Cypress mines that will have their own coal preparation plants and share a loading dock on the Green River. Paringa’s subsidiary, Evansville, Indiana-based Hartshorne Mining controls the Buck Creek property in McLean and Hopkins counties, where the mines are located. The Cypress Mine will retrieve coal from the No. 9 seam while Poplar Grove will mine both the No. 9 and No. 11 seams. Kim said the Poplar Grove Mine is expected to produce 2.8 million tons per year with a planned mine life of 25 years. 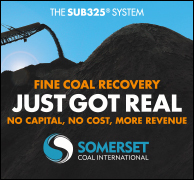 The coal will be removed by the newest underground methods and inject $15 million a year into the local economy. 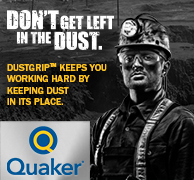 The average coal miner salary will be approximately $65,000 a year with 210 direct jobs being created. Poplar Grove Mine is expected to begin producing coal shipments early next year, said Kim. Paringa has a contract with buyer LG&E/KU. Because Illinois Basic coal burns hotter, it is becoming once again preferred locally over Powder River Basin coal from out west. With power producers using new technology scrubbers, local coal can be used not only because of its higher BTU but also because of logistics. When asked about hiring preferences for McLean County residents, Kim said while the company would be looking for the most qualified miners to work, it would consider McLean County miners over any other with all qualifications being equal.